W. Curtis Draper, the third oldest tobacconist in the country, needed to relocate after 20 years. 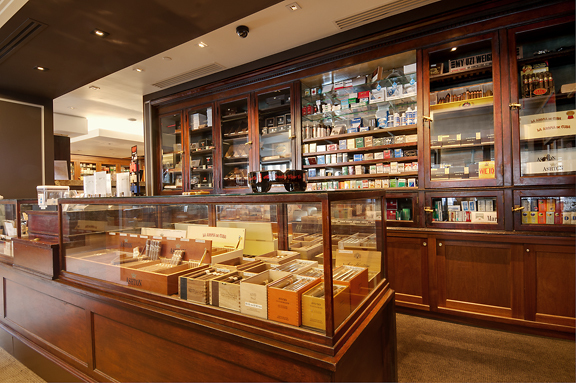 They selected a location next to the White House gift shop that provided them nearly twice the square footage to display their diverse collection of cigars, pipes, pipe tobacco, and smoking accessories to a national clientele. 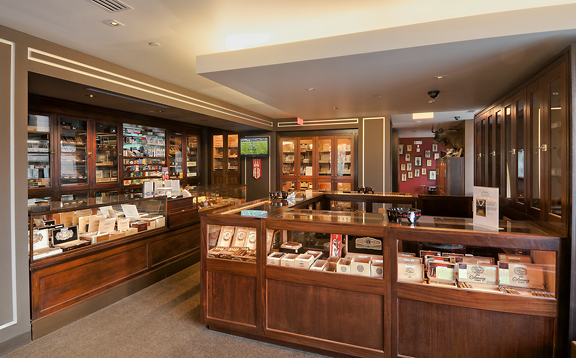 This premier cigar shop engaged the Bridges SI team to collaborate in providing an environment with updated technology, offering the right blend for a social establishment and retail space. The primary challenge in the W. Curtis Draper retail project for the Shape practice was the balance of offering modern technologies (such as flat-panel displays) and distributed audio in a non-obtrusive or obvious fashion. Detailed coordination with the project construction team assisted Bridges SI in integrating the technology in concert with the millwork and gypsum ceilings. This integration provided for an impeccable installation that allows the guests to focus on the experience, rather than electronics. The Construct practice was tasked to provide entertainment, including high-definition television, music distribution, digital signage and video security. The entertainment technologies are networked and controlled from a central touch panel, allowing employees of varying technical expertise to properly set-up or close the establishment. The security provides a digital archive ensuring appropriate monitoring of the inventory and safety of the retailer. 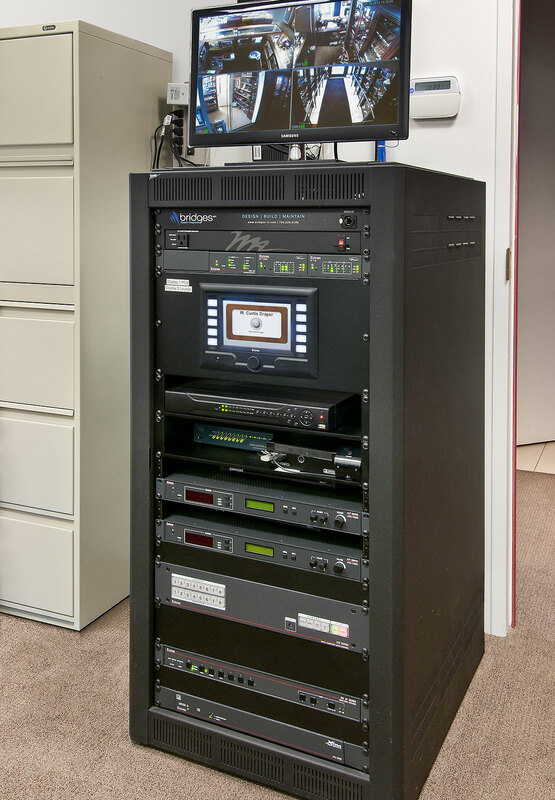 The multi-media equipment is secured in a commercial rack that provides easy access to the equipment, proper cooling and cable management. 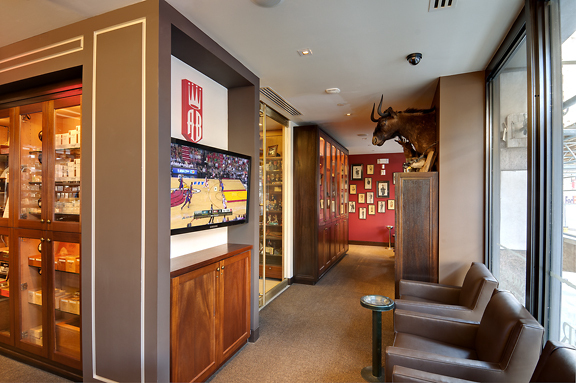 The result of the installation is a warm, inviting space where technology complements the ambiance created by the outstanding selection of cigars and accessories, and does not overpower it. W. Curtis Draper’s enjoys a maintenance contract with the Sustain practice, enabling them to focus on their business instead of their technology. While the automation of the system is intuitive, preventative maintenance visits provide both opportunities for training new staff members as well as peace of mind for management that their system and store are being well managed. With the ongoing support of the Sustain practice W. Curtis Draper can continue to be a top tobacconist.